This pair of non-matching salad bowls were turned for my parents. 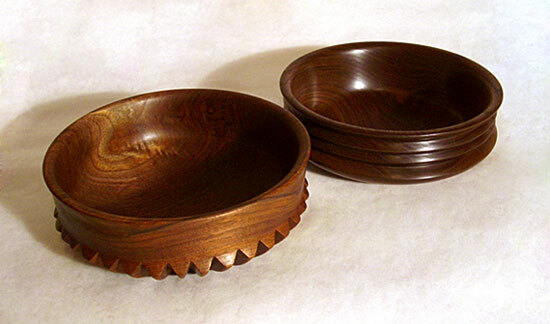 They already had a set of wooden salad bowls, but they were so darn small—about the size of nut bowls—way too small for a decent salad. Walnut, mineral oil finish. Approx. 7" diameter.